It is summer and it is the time we need to keep hydrated. That is really easy with all of the flavor options that DPS Dr Pepper Snapple Group has created. 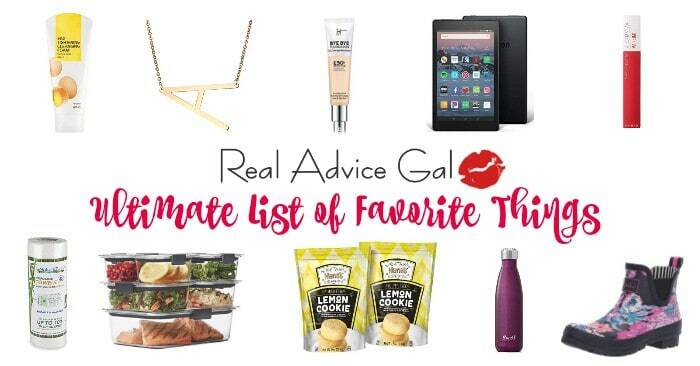 They are known for 50 brands that are synonymous with refreshment, fun and flavor. In addition to their flagship Dr Pepper and Snapple brands, the DPS portfolio includes 7UP, A&W, Canada Dry, Clamato®, Crush, Hawaiian Punch, Mott’s, Mr & Mrs T mixers, Peñafiel, Rose’s, Schweppes, Squirt and Sunkist soda. 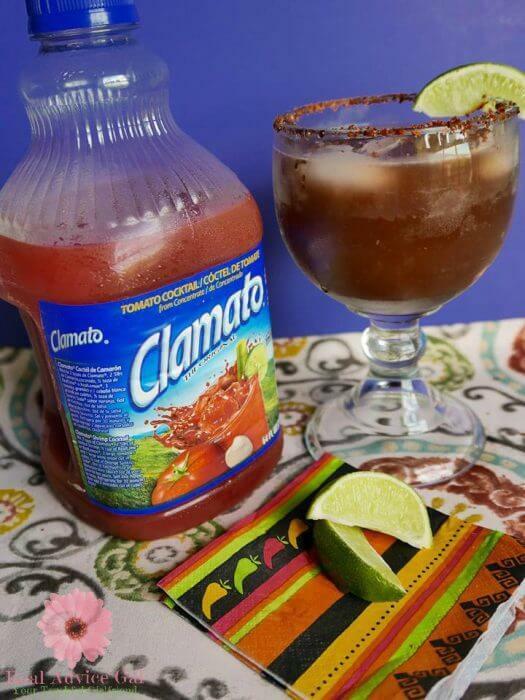 Clamato® is the drink that I chose to use today in my recipe. You will see why! The summer is hot and our time is limited so why not enjoy a night in with friends? What if you knew how to make an incredible drink? What if you got some music ready and made a couple of easy recipes? What if you took some time for yourself and the people around you? How about making a simple drink with a Mexican Flare? How about making a Michelada? What if you did it on July 12th. The day that this drink is celebrated. Well, it starts with a tasty cocktail called Clamato® juice. It is a unique and tasty cocktail made with tomato juice and a blend of spices that livens the senses, and it was created in California back in 1969. 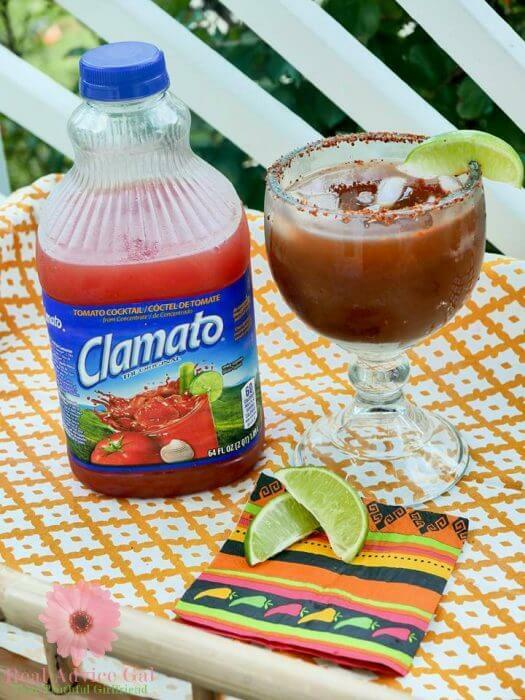 Now, Clamato® is an indispensable ingredient used in many beverages, including the traditional Michelada. I know you want to learn more. Who wouldn’t? I bet you can taste it now. It is said that the Michelada made its first appearance in Mexicali at the “Bar los V-tarros” where, the story claims, it was very common to experiment with drink mixes in an effort to find the perfect antidote for the hot, sultry climate. Witnesses claim that Mr. Camacho, the owner of “Bar los V-tarros,” and his good friend created the now very popular Michelada, a mix of Clamato® with beer, Worcestershire sauce, hot sauce, lime, and pepper. 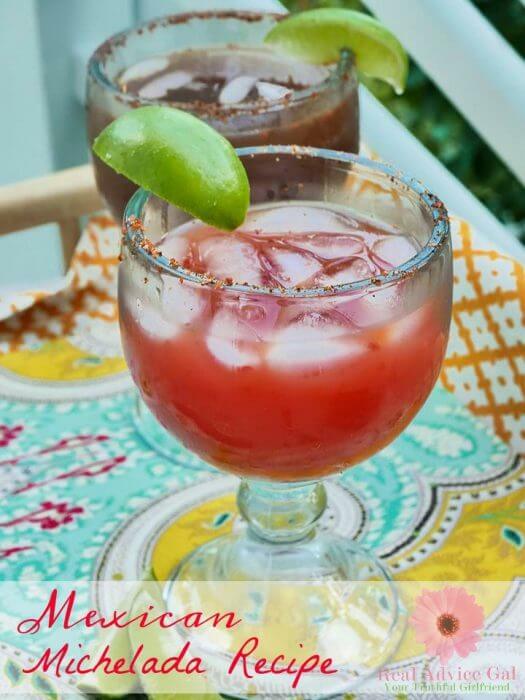 The recipe became so popular, it quickly spread from Mexicali … to the world, and in the U.S. we celebrate this iconic drink on National Michelada Day on July 12th! Now you know. If you win on jeopardy you owe me a Michelada! 1. Take about a tablespoon of Tajín (or salt) and sprinkle it on a small plate. We need a well-coated rim but you can use what you like. Then rub a slice of lime around the rim of the glass. Turn the glass upside down on the plate and press the rim in the Tajín to salt the rim. 2. Mix Clamato®, lager (beer), lime juice, Worcestershire sauce, hot sauce, and soy sauce in a large pitcher. 5. Garnish with a slice of lime and enjoy! 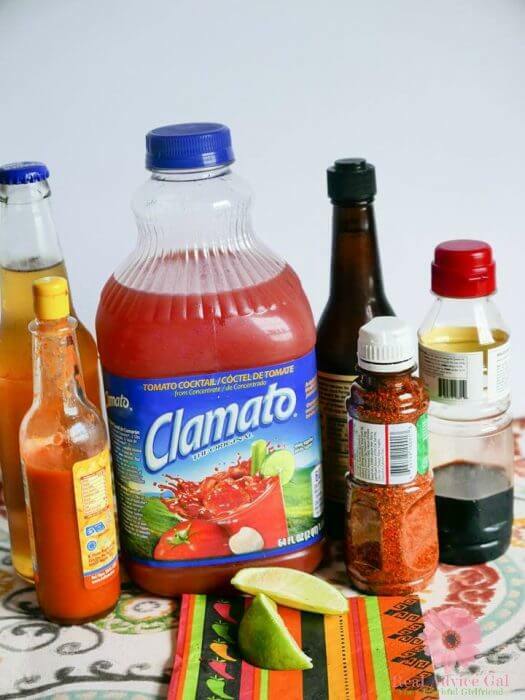 Make sure to check out http://www.clamato.com/en/drinks for more recipe ideas, and http://www.clamato.com/en/about for more information on Clamato®. To learn more about Dr Pepper Snapple Group and its iconic brands, please visit www.DrPepperSnapple.com. Follow @DrPepperSnapple on Twitter, @DrPepperSnapple on Instagram and “Like” Dr Pepper Snapple Group on Facebook. I know that you demand varieties and flavorful beverage, and no one delivers on variety and flavor better than DPS. DPS has choices for everyone, including approximately 100 products on the market that either have zero or reduced calories or deliver nutritional benefits. Whether you’re enjoying a carbonated soft drink, tea, juice, mixer or other premium beverage, there is a good chance you’re enjoying one of DPS’s products. The DPS portfolio quite literally has something for everyone who is seeking the right balance in their lives. Do not forget to show me your favorite recipe using on of the DPS beverages and tag it using #DPSFlavorTour!